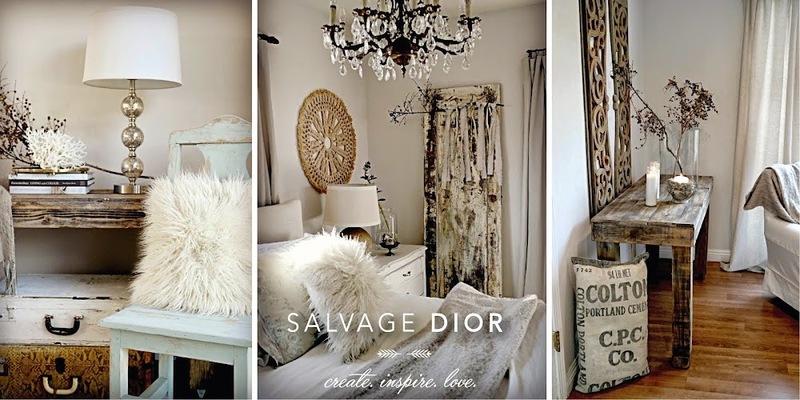 Salvage Dior: White Wednesday " rustic spring "
is the perfect filler for my urns. Hi Kate ~ Happy Spring to you Too~ I can't believe the wonderful weather we have been having.... I bet you are EnJoying the weather too... Love all these fabulous Whites, the tones are perfect~ Did you see the photo in the newest Country Living Magazine, they had a wall filled with all different size Shutters, they had them all painted in soft Blue & Green, but all shades of Old White & Gray would be Outstanding! Have a wonderful week, I am off to do some more Spring Clear Out! Love the "feel." I have an old distressed door that stands in my corner. I'm looking for a burlap wreath to go on it. Kate,your blog posts are a true blessing!!!!! !Beautiful pictures,and decorating.Love tha "wall" in the background,the urn....well everything actually!! !The colors are so Kind to the eye,cosy and elegant.Can't Get enough of your fabulous style. What a gorgeous blog! I just found you! I'm your newest follower. Come over for a visit! I'm always swept away when I visit you, Kate. Love you washed pieces. I had to laugh when I saw your little urn. I have exactly the same one. Kindred spirits. this is beautiful !! i love the rustic timber combined with white. stopping by & following from white wednesday. Love this rustic spring look - the whitewashed wood is amazing! I love this rustic spring look. Everything looks gorgeous! Absolutely beautiful Ms. Kate...Wishing you and your family a very happy first day of Spring. Praying that you and your mom are doing well. Your displays are also so pretty and fresh looking! Hope all is well, take care! Hope to see you soon! Sigh...I can never get enough pictures of your beautiful home! Love alls the grays and whites and worn wood. It is just gorgeous! It is all so serene. Thank you for sharing. Looks awesome happy white Wednesday!! I love how you embrace the patinas of the past and showcase them in your home!! I just love that look - you have created some awesome spaces - so fresh and wonderfully done! What a beautiful corner to love. that is a gorgeous display - but I must say, I think I really like that shot of hot pink from the rose in the previous post - those pictures were amazing!! you have wonderful home and your photos are fantastic.